One of the ways to promote your mobile product may be promo activities such as “app gone free” or discounts (for iOS apps only). Kindermatica - developer of children’s educational games for iOS and Android, shared with ASOdesk case of such marketing move. Let’s see in the article, how the promo reflected the keywords ranking. When you do a promo “App gone free” or give a discount on your app, increasing of the install is guaranteed. And then there is a good chance to get higher keyword positions. See the results on the app example of kid’s apps. What’s the promo: usually the app is paid, but for 7 days app gone free. How the promo reflected on the keywords? Keyword: games for 3 year old — At the time of the promo — keyword ranking has increased, but as the promo ended the ranking went down as it was before. Keyword: patterns game — position before promo — 121, during the promo — 70–69, after the promo — returned to the original position. Keyword: child development — position before promo: iPhone — 77th place, promo time — 60, after the promo — 82 even lower then before the promo. iPad: before promo — 69th place, during the promo — 89, after promo — 113. It is strange, but for iPad keyword position became worse during the promo and after (iPad is basic device for children games). Don’t be so positive about the jump of 20 keyword ranking, when the keyword ranking is less than TOP30. Many ASO experts know that the jump for at least one position in the TOP30, is much more difficult to get, than 20 positions up in the interval of 100–50. Downloads: Playroom app received almost 60k downloads for one week. The graph below shows a contrast of downloads before promo and during the promo. Device statistics: desktop — 55,7 k, iPad — 1,68K, iPhone — 627, iPod touch — 8. The second app is Yum-Yum Letters: handwriting for kids and alphabetwho participated in the promo “app gone free”. Keyword: handwriting games — position before promo: iPhone — 24th place, during the promo — reached a peak in the 15th place, after the promo — 27. Keyword: abcya, position before the promo: — 30th place, during the promo— reached a peak of 26th place, after the promo — 27. Keyword ranking went up, but the difference is not so visible. Keyword: abc writing, position before promo: iPhone — 257 place, during the promo — reached a peak in the 170 place, after the promo — fell to 270 position and gone. During the promo iPad has appeared, but disappeared immediately after the promo, iPhone disappeared after the promo too. In both cases we are seeing the same trend — the same growth for all keywords during the campaign “app gone free” and return to the previous keyword positions or drop to lower positions, after app returns to the paid category. Downloads: it is clear that there was only one jump, at the end of the promo — on November 29 after a day of Thanksgiving. By the way, jump in 80,000, it very cool. Device statistics: desktop — 83,3k, iPad — 2,24k, iPhone — 1,23k iPod touch — 0. Game Forest Quest: board game for kids and family is worth $ 3.99, but for a period of 7 days it was sold at a discount and the price became $ 0.99. How will this affect the keywords in the US? The campaign started on November 23 and ended on 30 November. It is evident that promo was good. Keyword: family game night +5 positions after the promo, from 20 to 15th place on the iPhone, for iPad difference is almost imperceptible. Keyword: school board game during the campaign went up for two positions, from 10 to 8th place. However, after the promo returned to its original positions. Keyword family board game for the iPhone: before promo— 20th place, after the promo 21 seats. Downloads by device: clearly that for children — iPad the main iOS device. (now you know who still uses iPad). Desktop — 134k, iPad — 2,49k,iPhone — 1,69k, iPod touch — 24. Nearly all keywords positions went up with the increase of the installs. 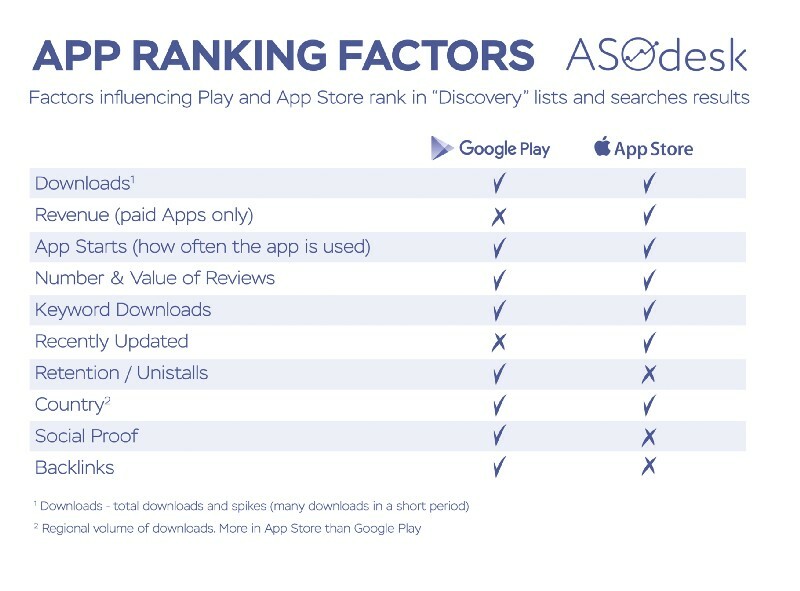 Downloads were done, first and foremost, through the posts in social networks or cross-promo in the apps (unlikely with the keywords that are lower than 50 positions). Campaign has shown itself “Good” on the number of downloads, which is a key metric. Expectations for keywords do not come true, almost no keywords ranking has increased.